So on Monday’s, I’m going to start a series I’m calling “Mack’s Hacks*”. It’ll be a quick post about a product or technique that I use that I think others will get use of. 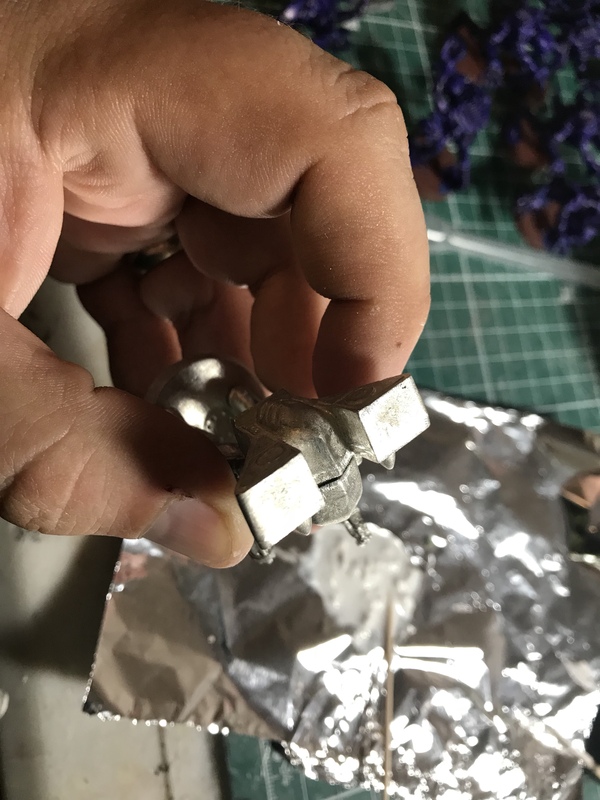 It may be something for 3D printing, wargaming, model building or all of the above! For the inaugural run, I’ll be talking about Perfect Plastic Putty. Perfect Plastic Putty (3P) is a water-soluble finishing putty similar in consistency to Tamiya Extra Fine putty. However—unlike the Tamiya stuff—it’s odorless, which makes it a winner right there in my book. More useful is that 3P is water clean-up. 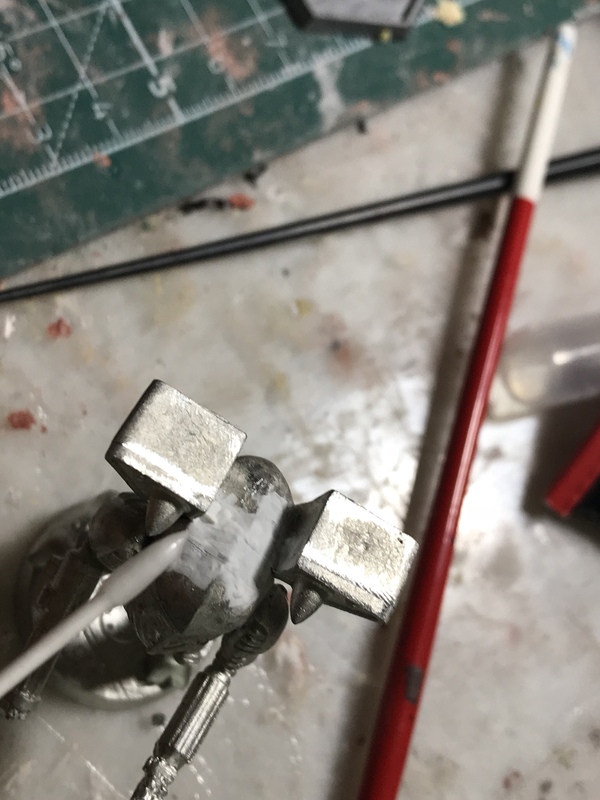 Meaning after it dries, rather than sanding you can use a wet cloth or wet cotton bud (q-tip) to remove excess putty and smooth it. Great for those tricky wing-to-fuselage joints on aircraft and other troublesome to reach/sand areas. 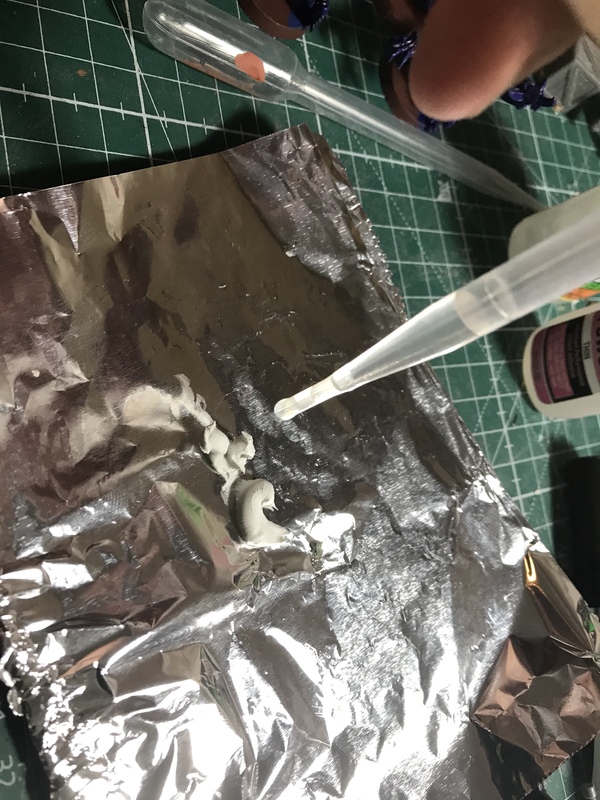 I also mix it with water right out of the tube to thin it up a little and allow it to…well not exactly flow but better reach tricky nooks and crannies. It also works great to help smooth 3D print lines. 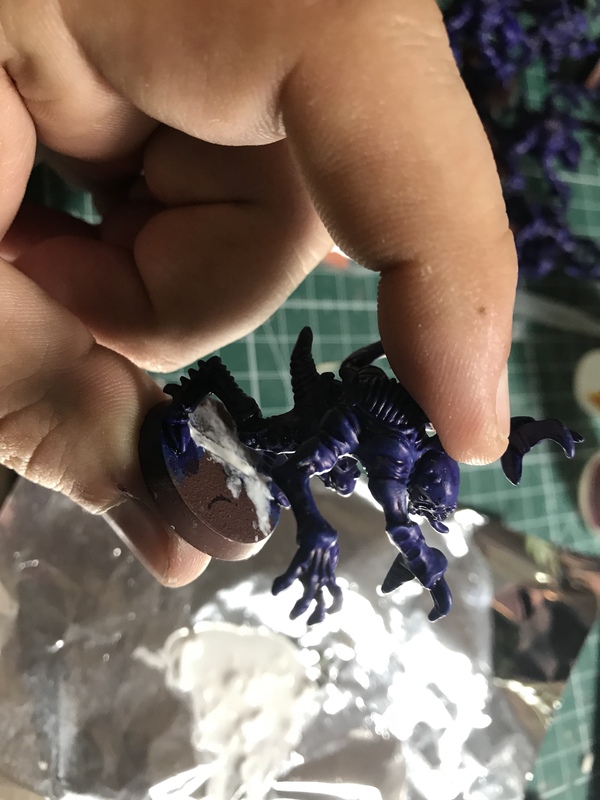 For a quick example, I decided to use to fill in the slot holes on some old Games Workshop 25mm “Slotta Bases” that were attached to some second-hand Tyranid Genestealers I purchased for product pictures. Putting a couple of drops of water on a glob of 3P. I’ll then take a toothpick and mix it up. For this close enough is more than fine. Using a toothpick I took the thinned 3P and placed it in the slot. Remember, this is water clean-up, so if you get some on the paint, no big deal! Just keep a wet cotton bud or brush nearby and wipe it off. You can wait till it dries to clean-up, but for me, that’s just one more thing to try to remember. Here’s a whole bunch of 3P slathered on. 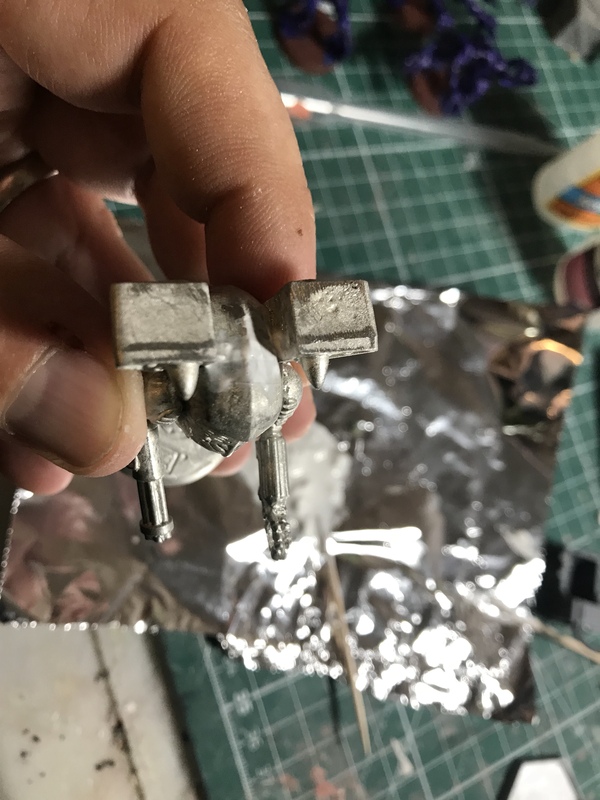 I tend to go a little heavier than I would with Tamiya or Spot Putty as there will be shrinkage. 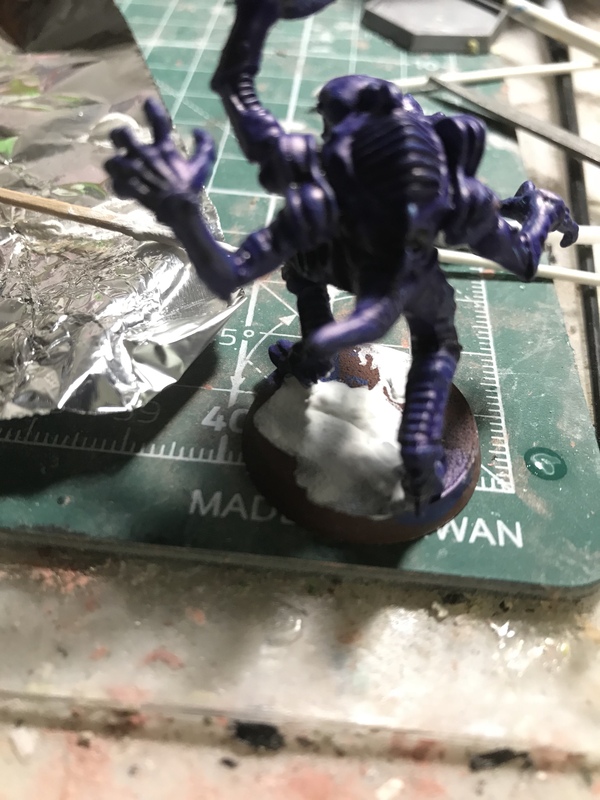 Since I was going to use some of GW’s basing paints, I left this as is to add some texture under the paint. 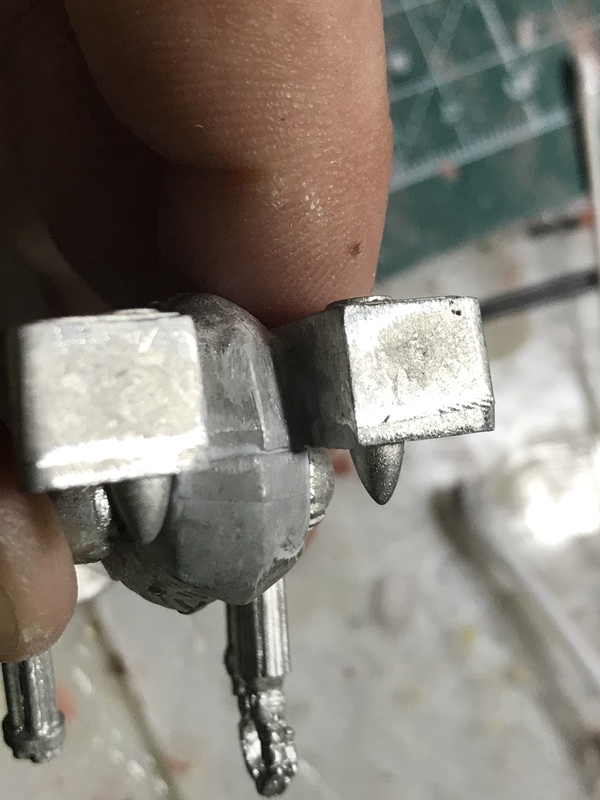 I also used some to help blend in the missile launchers on Iron Wind Metals 28mm Scale BattleTech Clan Battle Armor. Pretty decent gap there, and combined with the angle and tight space, it’s a perfect candidate for some 3P. For this I’m using one of the fancy Tamiya cotton buds dipped in water. The bud’s conical shape and tight winding keeps it useful for longer and lets you really get into tight places. 3P wiped off. You can see where it filled in the gap. I’m a big fan of 3P, its an incredibly useful tool and can make a lot of daunting tasks far more manageable. It does have some limitations: wet sanding for one can wear down the putty more than you might be intending and it does seem to be a bit softer than other putties, but a coat of primer takes care of both those things pretty nicely. Now I’ve heard Vallejo putty has similar qualities, but I haven’t yet had a chance to confirm it. Please let me know if you found this useful, and if you have any questions, please don’t hesitate to reach out to me! *Shout out to Dale from Table Top Gun for helping name this series!